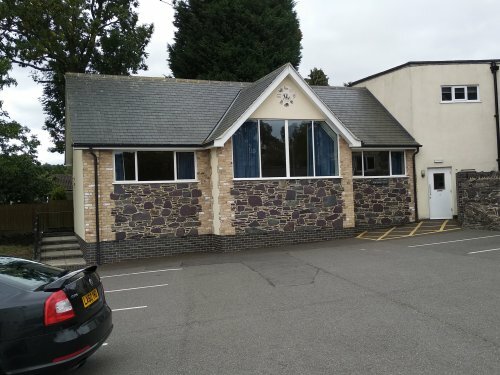 This hall is to the right of the car park on on Main Street, behind the Village Hall and to the right of the the Village Hall Annexe. For more information on these three halls see the ↪Buildings page on the Parish Council website↪. This site was previously occupied by a wooden Scout Hut, as shown on the 2001 ↪Village Tour↪.